The prehensile hands and feet of primates evolved from the mobile hands of semi-arboreal tree shrews that lived about a 100 million years ago. This development has been accompanied by important changes in the brain and the relocation of the eyes to the front of the face, together allowing the muscle control and stereoscopic vision necessary for controlled grasping. This grasping, also known as power grip, is supplemented by the precision grip between the thumb and the distal finger pads made possible by the opposable thumbs. A new study identifies nearly 500 minuscule finger and toe bones as belonging to 45-million-year-old tiny primates. Many of the fossils are so small they rival the diminutive size of a mustard seed. Representing nine different taxonomic families of primates and as many as 25 species, the specimens from China include numerous fossils attributed to Eosimias, the very first anthropoid known to date, and three fossils attributed to a new and more advanced anthropoid. Perhaps the bias against left-handers dates back much further than we thought. By examining striations on teeth of a Homo habilis fossil, a new discovery led by a University of Kansas researcher has found the earliest evidence for right-handedness in the fossil record dating back 1.8 million years. Scientists have discovered the oldest known fossil of a hand bone to resemble that of a modern human, and they suggest it belonged to an unknown human relative that would have been much taller and larger than any of its contemporaries. This new finding reveals clues about when modern humanlike hands first began appearing in the fossil record, and suggests that ancient human relatives may have been larger than previously thought, researchers say in a new study. A key feature that distinguishes humans from all other species alive today is the ability to make and use complex tools. This capability depends not only on the extraordinarily powerful human brain, but also the dexterity of the human hand. The discovery of an ancient bone at a burial site in Kenya puts the origin of human hand dexterity more than half a million years earlier than previously thought. 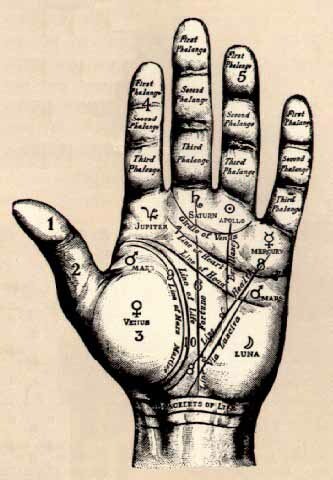 In all ways, the bone - a well-preserved metacarpal that connects to the index finger - resembles that of modern man. It is the earliest fossilized evidence of when humans developed a strong enough grip to start using tools. Apes lack the same anatomical features. The 1.42 million-year-old metacarpal from an ancient hominin displays a styloid process, a distinctively human morphological feature associated with enhanced hand function. Its discovery provides evidence for the evolution of the modern human hand more than 600,000 years earlier than previously documented and probably in the times of the genus Homo erectussensu lato. 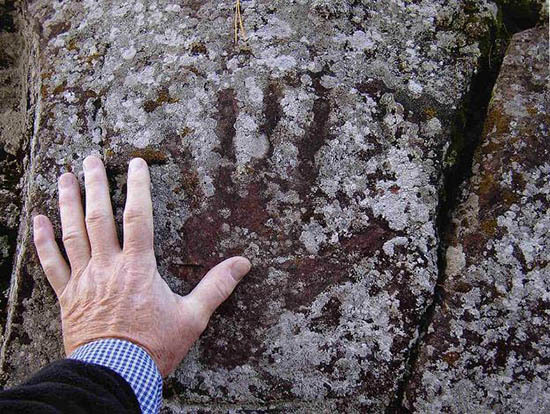 Humanity's right-hand dominance might be more than 500,000 years old, new research indicates. The trait of right-handedness is commonly believed to be a sign of the development of another uniquely human trait -- language. "We are right-handed because the left side of the brain controls the right side of the body, and the left side of brain is where language is processed," study researcher David Frayer, of the University of Kansas, told LiveScience. "This is important because it tells us that they were brain lateralized just like we are, and they probably had a language capacity." The fraction of left-handed people today is about the same as it was during the Ice Age, according to data from prehistoric handprints. They were found in caves painted during the Upper Palaeolithic period, between 30,000 and 10,000 years ago. Left-handedness may have conferred prehistoric man advantages, such as in combat, say the researchers. When Stone Age man produced their remarkable cave paintings they often left handprints on the walls produced by blowing pigments from one hand through a tube held by the other hand.